There are no options for this product. Book a courier for collection by calling our customer services team at Ammo Pro. 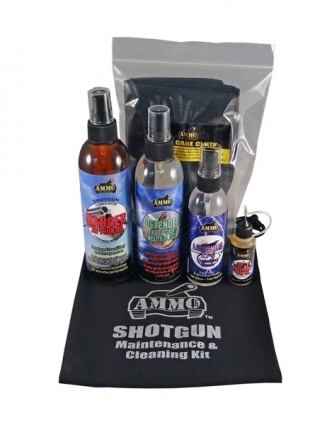 Great value Shotgun Care Kit Plus has all you need to clean, lubricate and maintain any shotgun from Old English Guns to modern day Game and Clay guns. Plus kit comes with the unique Defender Salt Neutraliser specially developed for Wildfowlers or anyone shooting neat salt water. Simply spray the gun or equipment in contact with salt water and this will immediately be neutralised to protect guns and equipment! Supplied in a pull string bag for easy storage and easy transportation when shooting away from home. Ranger XR-1: Originally developed to protect and lubricate military armament. Unique Proto Guard technology allows Ranger to creep over any surface and penetrate the smallest tightest gap to give optimum lubrication and protection. Super low stiction ratio for supreme reliability even under extreme use. XP-1:A refined fine oil with super low stiction ratio for the ultimate smooth action of triggers, ejectors, rifle bolts etc. Anti-corrosion and Anti Oxidation properties to protect valuable guns even further! Lightning XT-1Neutraliser/Cleaner: A fast flash-off/low odour super high performance cleaner for all cleaning/ de-oiling/de-greasing of guns and gun parts. Also use to NEUTRALISE any bore cleaning products. 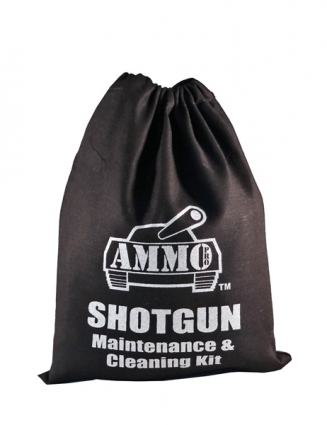 Gun Care Cloth:A premium quality microfibre gun care cloth for very quick drying of wet guns and for general oiling and cleaning duties. This cloth will very quickly absorb water and dirt when the wet day in the field is finished. The microfibre cloth electrostatically draws mud and dirt into the fibres to eliminate scratching of wood and metal on your expensive gun! Bought as a birthday present by my wife. Found the kit very useful and works great on my guns and does away with tins!